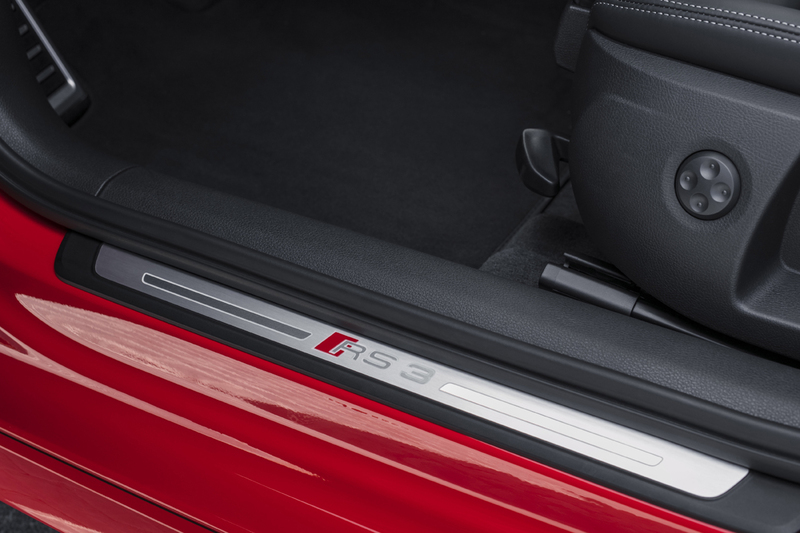 For the first time in North America, the Audi RS3 will be made available for 2017 and 2018 and it’s been revealed just ahead of the New York International Auto Show which opens just next week. 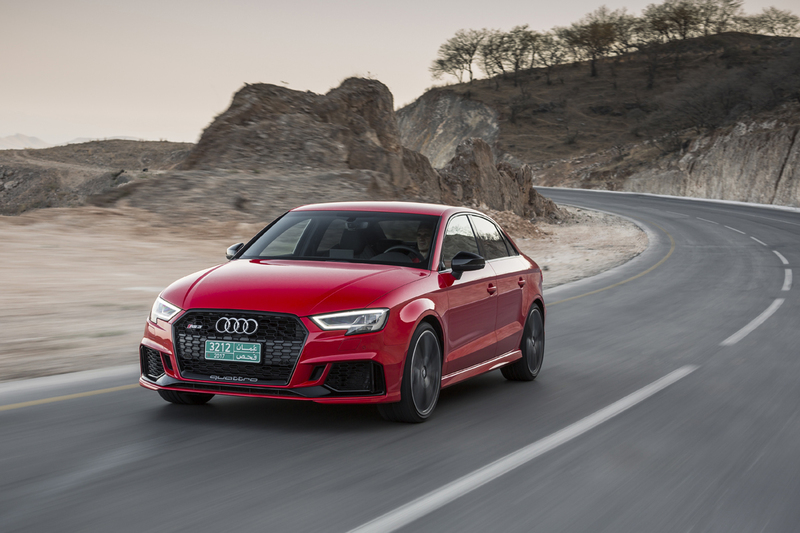 With a 0-60 time of 3.9 seconds, the hottest Audi 3 will arrive late this year with some 400 horsepower delivered to all four wheels through a super robust version of the brand’s Quattro all-wheel drive system. 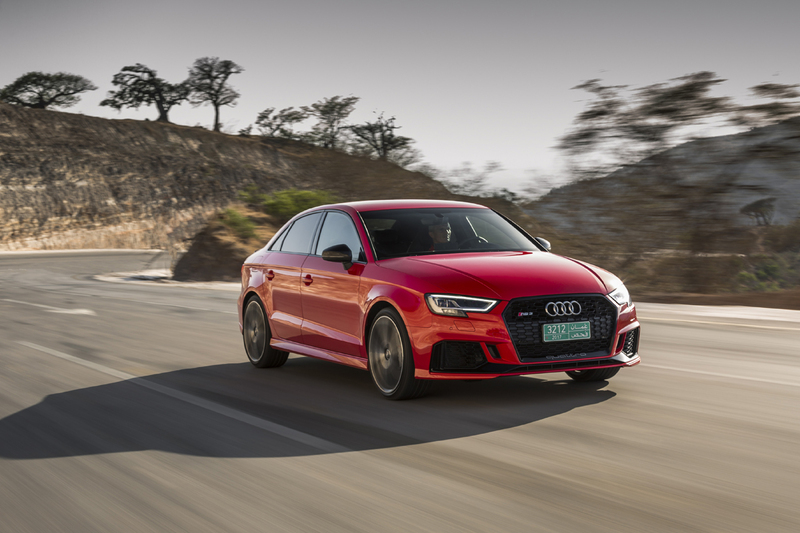 The RS3 we’ll get here in North America they tell us was specifically developed for our market, with a 2.5-liter turbocharged five-cylinder engine and a seven-speed dual-clutch transmission. 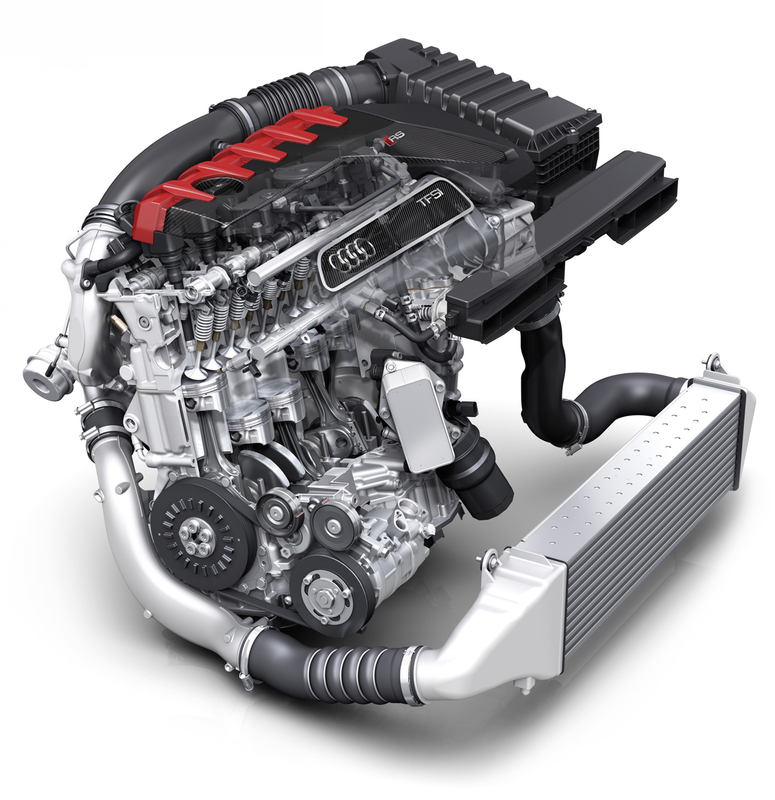 With 400 horsepower it has torque of 354 pound-feet that remains constant from 1,700 rpm all the way to 5,850 rpm. 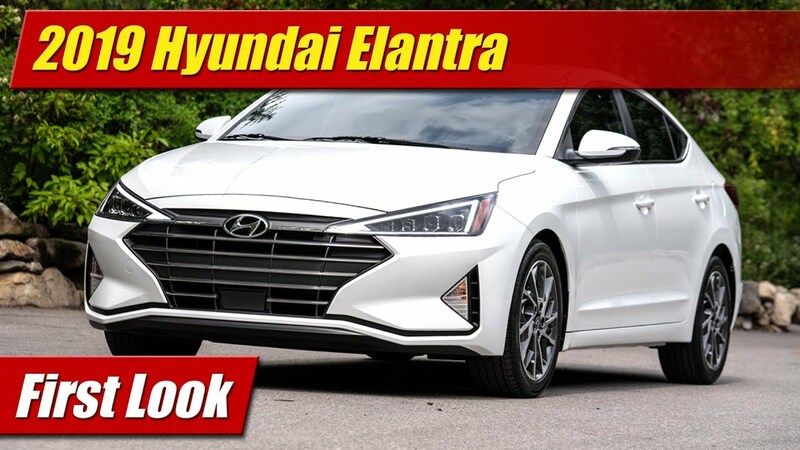 It features both direct and port fuel injection and to help you get the most out of the thing, it will feature a launch control program in addition to all the expected drive modes. This along with a Dynamic Plus Package can get you to a top speed of 174 mph. 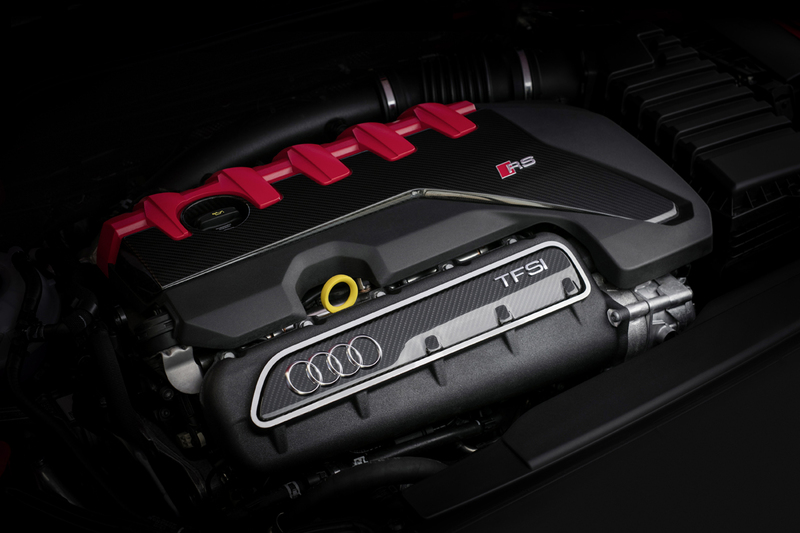 It will sound good too with that distinct 1-2-3-4-5 firing order that five cylinder Audi’s have been known for. 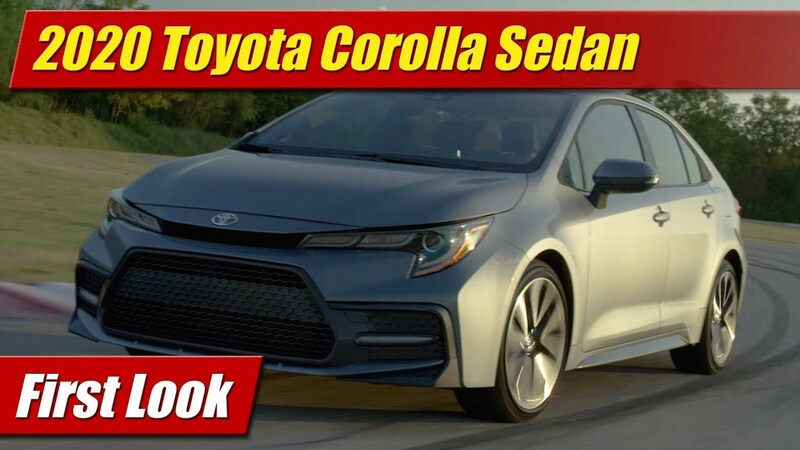 Better yet you will have the ability to control that sound through electronic flap valves in the exhaust system, tied to those aforementioned drive modes. 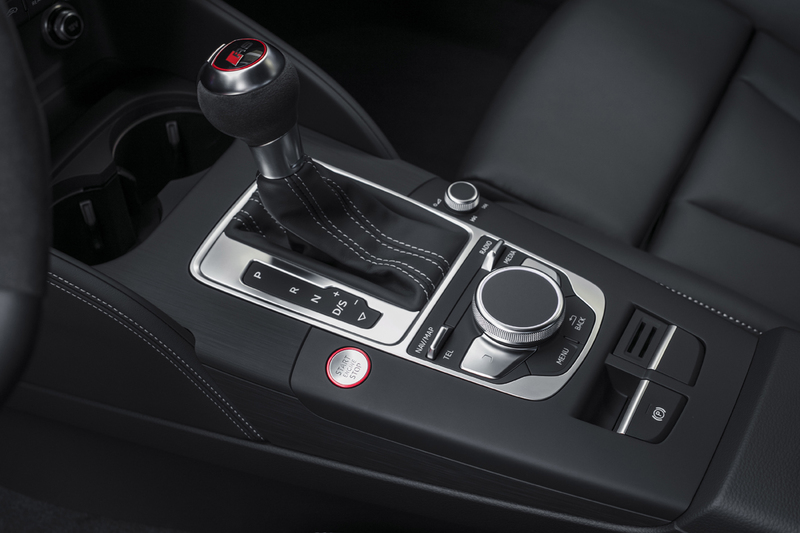 Those modes are comfort, auto, dynamic and individual. 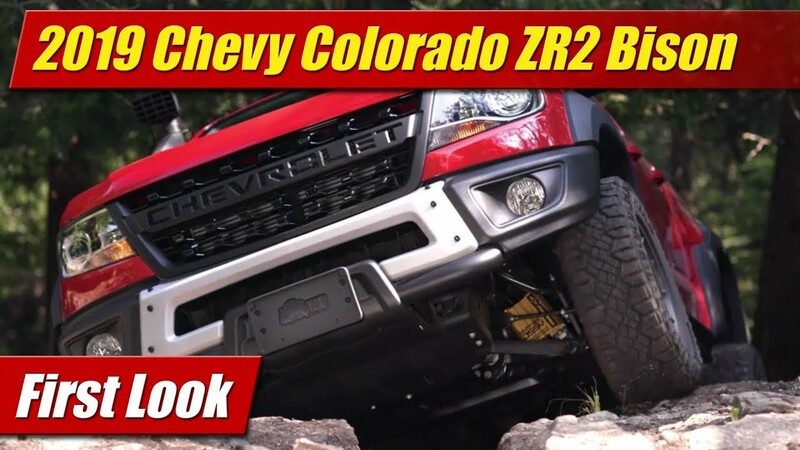 Each mode changes up the transmission shift points, steering, throttle response, and the dampers when you option the adjustable suspension. Standard brakes are bigger but you can also option biggest of that isn’t enough. That would be front carbon ceramic discs with the Dynamic Plus Package. Aside all the technical goodies, the RS3 looks meaner too. A unique honey comb grille has a more pronounced surround with Quattro stamped right in to impress everyone. A unique air splitter sits at the bottom of the front fascia and ties together the wider wheel arches visually. LED headlamps light your way. 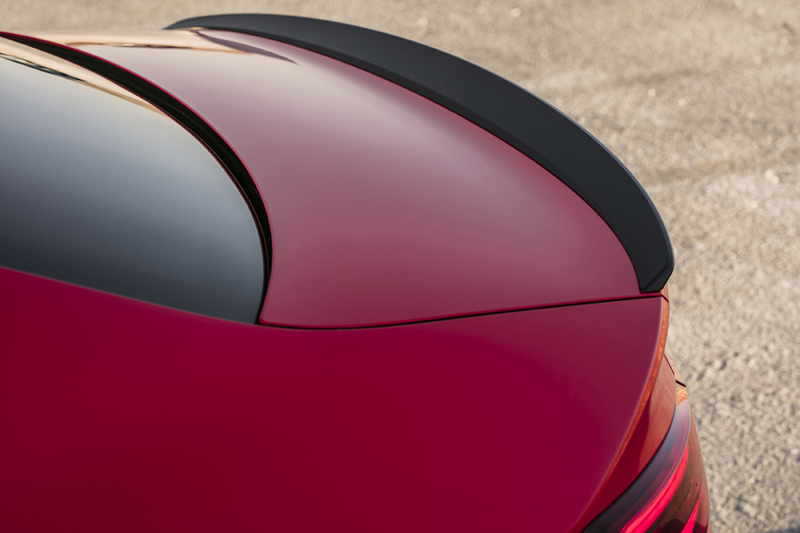 At the rear, a body-colored rear spoiler lip and giant oval exhaust pipes are tied down with a straked rear diffuser design that is all but expected in a performance car today. Standard rolling stock are 19-inch alloy wheels. 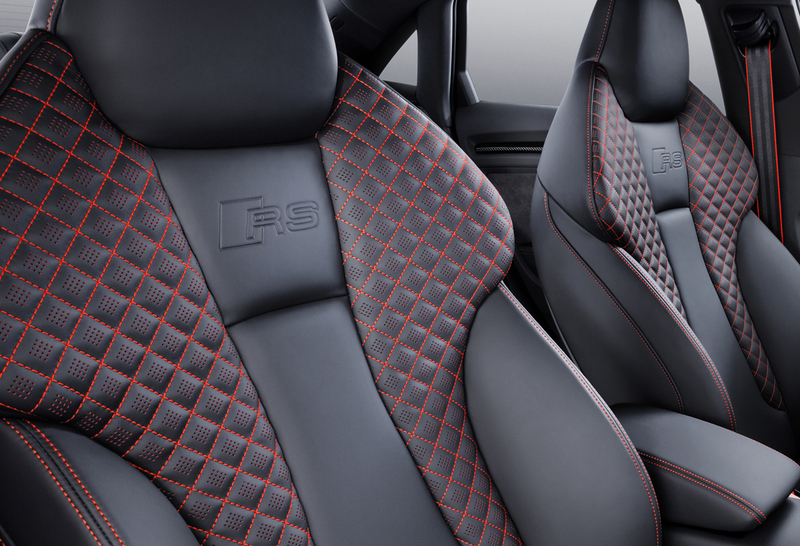 The cabin really looks wow with aggressively bolstered quilted leather S sport seats shown here with red accent stitching that looks pretty swank. 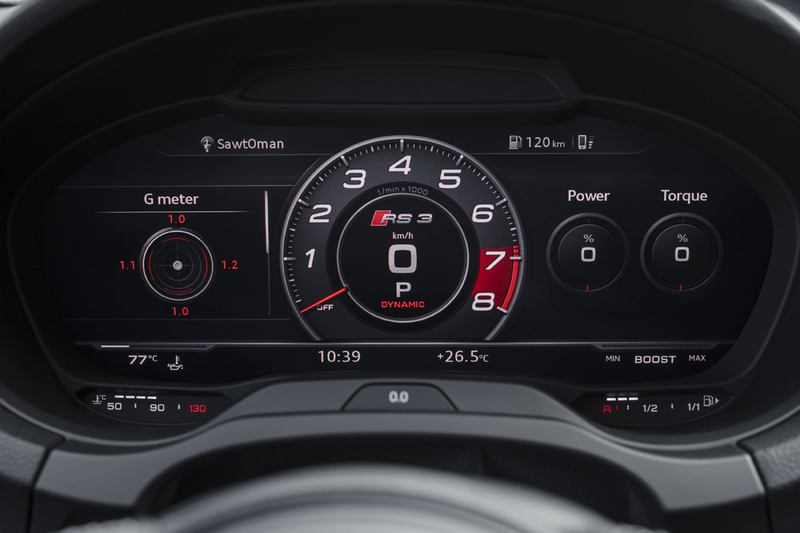 While a high level of tech is standard, optional remains the Audi Virtual Cockpit instrument display as well as the top-end infotainment systems. 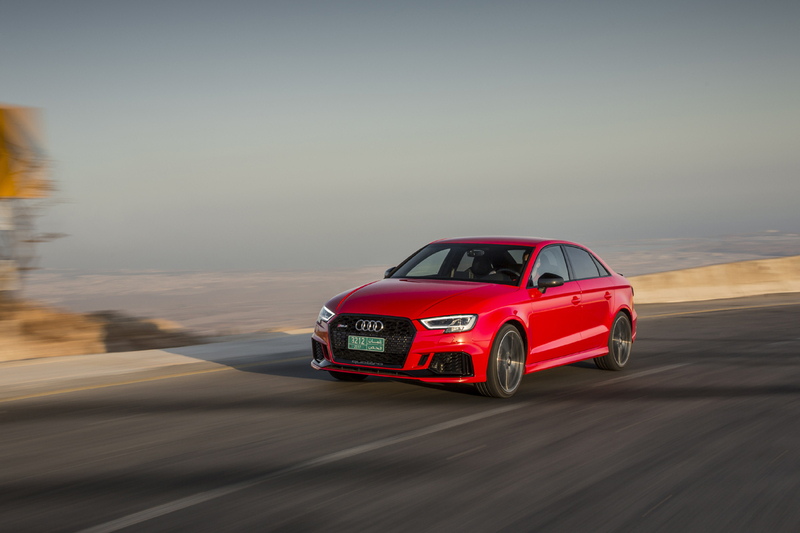 A limited number of 2017 RS3 models will be produced and will come to the States, these with a special equipment level priced at $54,500. 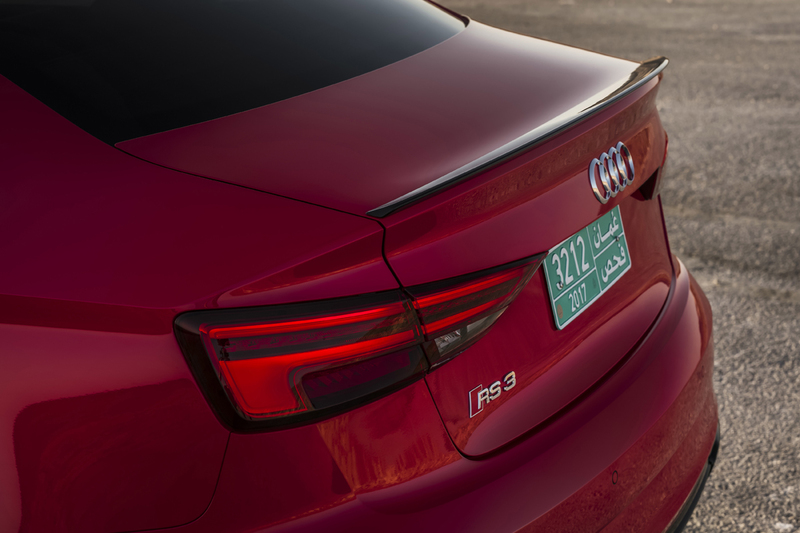 When the 2018 RS3 arrives in the summer it will be priced a bit more at $54,900. These prices are of course, before options.